After the success of the first Baby and Toddler morning we have decided to do another. Great social morning to spend with friends and meet new people. Biscuits & diluting juice will be included and for parents the bistro will be open if you fancy a tea, coffee or maybe lunch afterwards. Activities will change so that we always have variety each time you visit. Have a stroll around out magical woodland introduce your little ones to some of our ponies before coming indoors and enjoying some nursery rhymes, music, stories, toys, crafts & more. Description: Our Family Ice Discos are a fun and exciting twist to the normal public ice skating sessions. Enjoy a night out with family and friends, whizzing around our fabulous ice rink to disco lights and the biggest chart hits from our resident DJ. Description: Not only will we be screening the World Cup and Wimbledon in our sports garden this summer (http://ow.ly/E5Sp30kpfpC), we are also bringing you an indoor beach. The beach will be open from 10am on Saturday the 7th of July and will be positioned in the lower atrium, across from Costa. 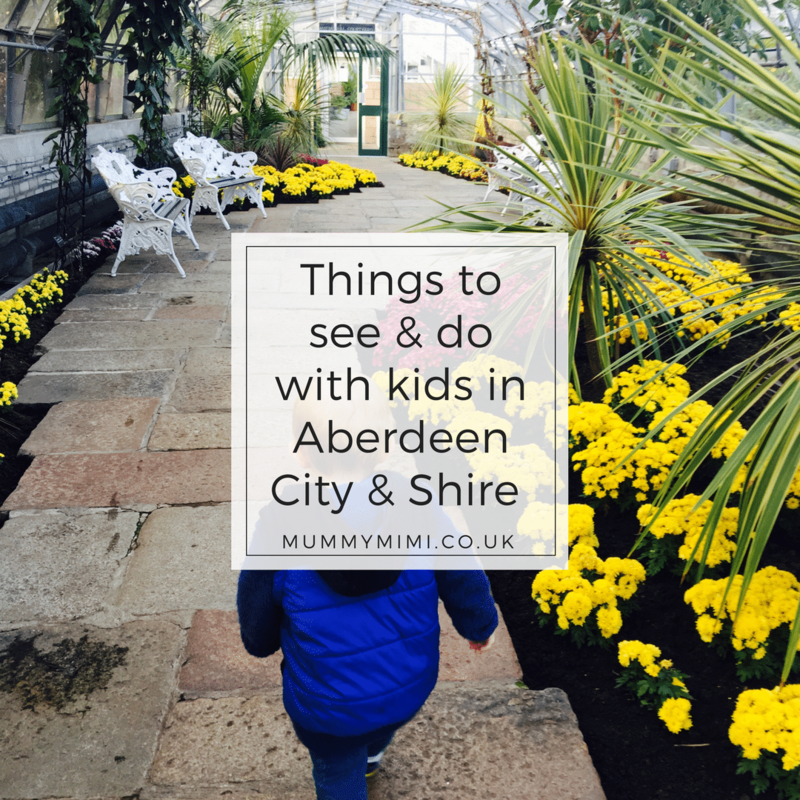 Need a break from shopping but not sure how to keep the kids entertained? If your little one loves playing in the sand, there will be plenty. You can also find a ball pool at our indoor beach! If you are looking for the perfect Instagram snap, we have lots of fun props including surfboards, rubber rings and a flamingo. The indoor beach will be a constant in the lower atrium throughout the school holidays. We will also have a variety of different pop-up shops, beauty pods and fashion displays happening over the course of summer. The first of these will be The Body Shop, who will be providing beauty demos on the 7th of July. On the same day, Miss Selfridge will be out displaying some of their must have pieces. Revolution will be serving “mocktails on the beach” from 12pm on Saturday the 14th of July and Sunday the 15th of July and much more. Description: We are all SOOOO Excited! It’s our 1st Birthday on the 7th of July. What a way to start our holidays with a big PARTY! Who’s in? We all are! We will have lots going on all day so make sure you don’t miss out! Description: Come along to the first ever George Street Farmers’ Market & Sustainability Festival! Held on George Street Aberdeen (Adjacent to Bon Accord & John Lewis) from 10am- 4pm. It’s bound to be an excellent event for the whole family! The Farmers’ Market will host a wide range of produce from local suppliers, bakers, growers and more! Get the opportunity to Taste & Buy some of the best local produce around! Interested in sustainability? Our Sustainability Festival, running alongside the Farmers’ Market will host an array of fun, engaging and educational stands focusing on sustainability. Learn more about community growing, climate action, redistribution of surplus food… and more! We can’t wait to see you all there – let’s pull together and showcase Aberdeen as a sustainable city! Description: Little Bounce is back again for another year! Looking for ways to entertain the little ones over summer, when you are out and about shopping? We have it covered, every day from 7th July – 19th August between 10am – 4pm (weather permitting), find our bouncy castle out on the roof garden for Little Bounce. If enjoying the bouncy castle, we ask that you make a donation to One Great Day the charity which supports The Archie Foundation and Great Ormond Street Hospital. 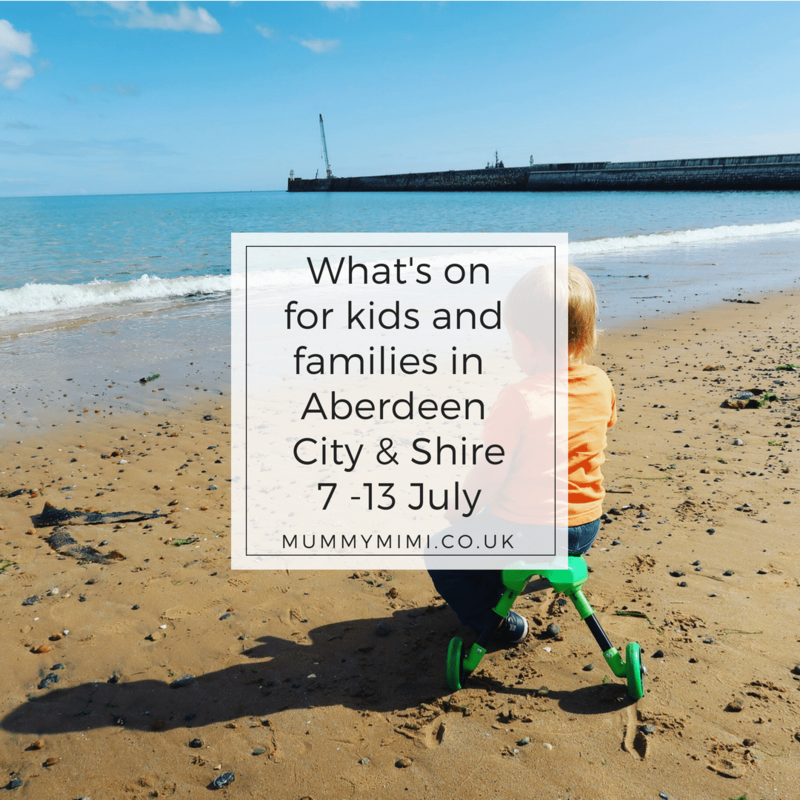 We have lots of family-friendly activities happening over summer, to keep up to date with what we have going on, check out our website: http://ow.ly/ZdmY30kB4qp. Description: One great day is an opportunity to raise money for charity and have a great day doing it! Communities and families from across the UK will be coming together to get involved in a day of family fun and charity challenge. Here at Union Square we’re supporting Great Ormond St and The Archie Foundation, raising funds and awareness for two amazing charities. Happening on Saturday 7th July from 11am ‘til 6pm, you can expect all sorts from face painting, stilt walkers to balloon modelling*! So, come and join the fun and get ready for one great day! Explore the 80th Annual Exhibition of the Society of Wood Engravers showing work from 88 Wood Engravers from all over the world. Learn about the technique of Wood Engraving from local artists and make your own relief print to take home. Description: Wacky World is a one of a kind inflatable pop up play arena coming to Aberdeen for just two days in July. Get the kids, family or partner active & make awesome memories. Take on our ultra-hype total wipeout style inflatable arena with a variety of games for the whole family to enjoy. Early bird tickets start from just £9.99. Which includes 1h 30m’s in the awesome Wacky Arena. All you need is kids with plenty of energy & a camera for selfies. Expect Total Wipeout, Extreme Hungry Hippo’s, Assault Courses, Gladiator Duels + much much more. Loved by over 100,000 fun goers nationwide, check out our 4.5./5 reviews. We have sessions for kids, families & adult only sessions. Access to all total wipeout Inflatables. 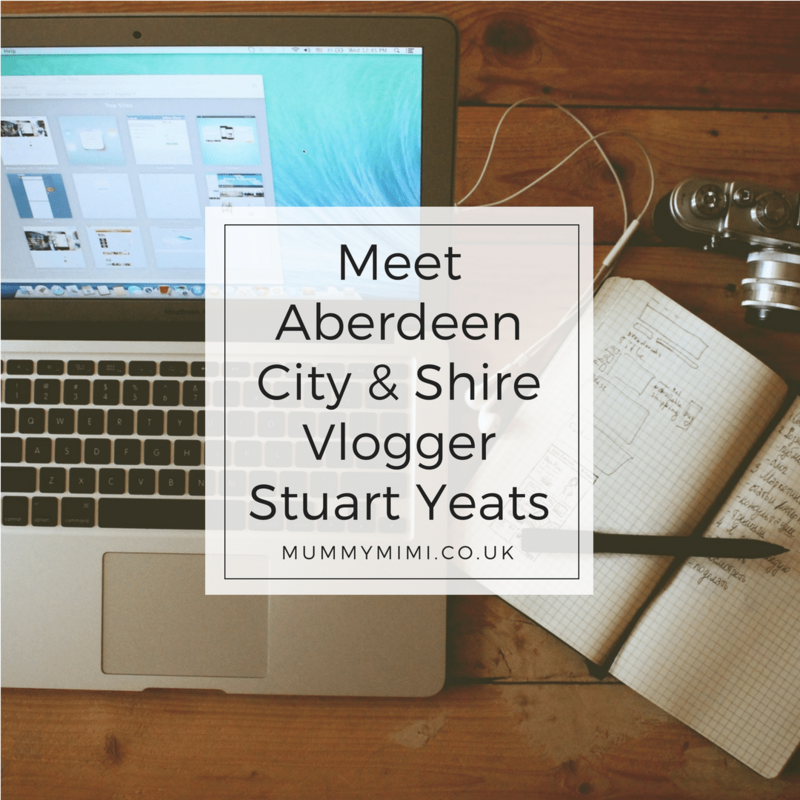 Did you see our post on Aberdeen City & Shire Vlogger Stuart Yeats? Why not check out the post here. Description: Masjid Alhikmah & Community Centre is a new purpose built mosque in the beautiful city of Aberdeen. We are holding our first open day and Islam exhibition event on Sunday 8th July, 2018. This will be one of many open days to come in the future. Description: Aberdeen Vegan Festival 2018 will take place for the second year running, on Sunday 8th July 2018 at Aberdeen Football Club in Aberdeen City Centre from 10:30am – 4:30pm. Admission is just £2 in advance or £3 on the door for adults and £1 for children. Under 5’s and carers go free this price includes entry into all speaker presentations and workshops. Description: Stonehaven Folk Festival’s amazing Aqua Ceilidh in the Pool! (the band will play in the bandstand, not the pool!!) Come along to dance the Splashing White Sergeant, Eightsome Creel, Drip the Willow and more! Entrance with normal pool tickets – no additional charge. Description: Come along and see buses and coaches from the 1930’s onwards that operated in and around Aberdeen. Enjoy a ride around the museum track and Alford on buses old and new. Free entry to the Open Day. Two lecture sessions by Keith Jones on public transport in Aberdeen City & Shire. Description: SECRET AGENTS of all ages… Come and join us on Sunday 8th July in the Trinity Centre for a game like no other. Work together with your families to find clues, solves puzzles and meet with undercover spies in this unique experience. David Goutcher, author and creator of Spy Quest will be hosting a live Spy Quest game and book signing and we need your help to catch the international jewel thief Franco Rodriguez. Spy Quest is an online interactive game, similar to a modern day treasure hunt that utilises cutting edge technology such as A.R and integrates it with smart phones and tablets, to provide a unique mixed reality experience. This is very similar to the likes of Pokemon Go! Users can either download the free Spy Quest app on Apple devices or use the Spy Quest website to play. Players will also be able to utilise the free Wi-Fi within the centre. All clues will be located within the Centre and it’s up to you to complete the quest. There are 7 missions to complete altogether. Each agent will be given a free code name and password on the day. We look forward to welcoming you to Spy Quest. Description: Part of the series of kids’ entertainment at the Pool this summer. Held under cover in the Green Room, beside the Paddling Pool. Be amazed at Mr Magic Man’s tricks! No additional ticket necessary – just buy or use your usual pool tickets. Description: Come along and help us celebrate our first birthday on Monday 9th July from 10am to 11:30am. The Cloth Nappy Library will run alongside our Waddling to Toddling Group, which means there will be plenty of toys for the little ones to be played with! Please join this group to find out more information and to let us know how we can help you in your Cloth Nappy journey. This group is a great source of information if you have any questions about Cloth nappies. We will also being doing some amazing giveaways over on the Facebook page – so please join us if you haven’t already! We will do demos of our newborn and birth to potty Nappy kits as well as answer any queries you may have. Description: Looking for something to entertain children over the summer holidays? Then come along on the first 4 Mondays of the summer holidays and experience different themed activities and crafts. Join us to paint two stones with animal designs, lovely ladybirds, prickly hedgehogs, fearsome frogs and more! One to take home and one to hide for other visitors to enjoy. Try our quiz, Animals of Castle Fraser Estate, to learn more about the creatures living here and hunt for hidden stones left by other children. Then end your day by making an animal mask to take home. Any creepy crawly fans out there? Of course there are! Come along to our Creepy Crawly themed day; take part in moth trap emptying and our minibeast trail. Then make your own Creepy Crawlies from Crazy caterpillars to balancing butterflies. Located in the log cabin at Castle Fraser just behind the walled garden. They will be taking place from 1 pm – 4 pm and will be taking place over the first 4 weeks of the Summer Holidays. Description: For the month of July, send your child on a Pirate and Mermaid Adventure, where they will explore the depths of the ocean and find hidden treasure on mystical desert islands! Children will also receive a Magical Adventure passport and themed stickers and activities to take home, keeping them relaxed and happy between sessions. Description: Just Relax……just for adults! I use the same beautifully simple 7 steps as Relax Kids to help you release stress, sleep better, support your health and immune system whilst sharing tips to relax the whole family and implement Relax Kids at home. 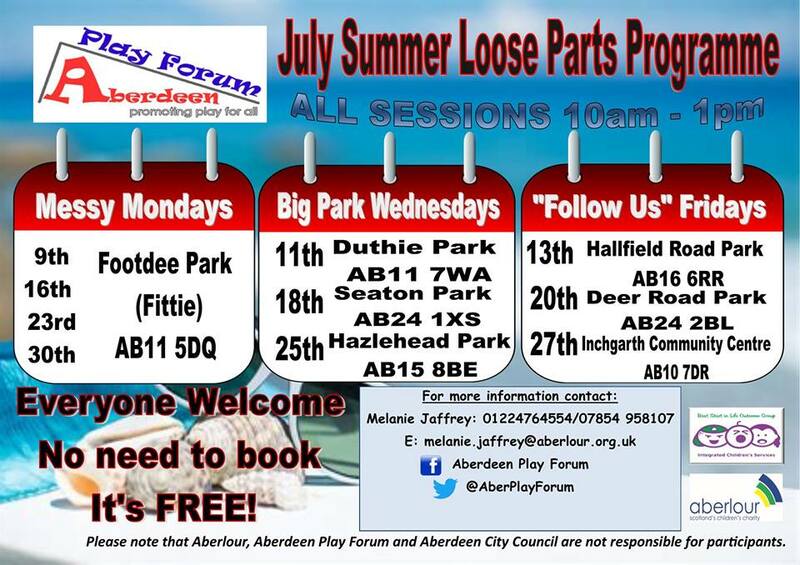 To book, call 01224 581576 or email FerryhillLibrary@aberdeencity.gov.uk . Bounce in the Park will be back again this summer for the 3rd Year! Description: Join our dance artist for a fun interactive movement session, the perfect introduction to dance for young children. This workshop will be capped to 20 children. Come along and have fun there will be a minifigure design challenges and free build. Prizes for best minifigure. Open to everyone of all ages. If a child under 5 is attending a parent/ career would be asked to stay with your child. Please bring pack lunch and snacks. Description: A free play session in the forest, with mud kitchen, a craft, a campfire cooked snack, and all the wonderful loose parts the woodland provides. Come along for a morning of playing, fun, and making friends! Description: Little Stars Classes for children under 5 years old and their parent/carer. Fun activity classes which includes songs, games, stretching and story visualisations. Sessions help improve physical, communication and social skills. They help develop confidence, creativity and help your child learn valuable tools to sell calm. Classes run for 4 weeks; 10th, 17th, 24th,31st July. Book one or all sessions. Description: Come along for a play in the woods where we could build dens, make crafts, eat a campfire cooked snack, relax in a hammock for a while and lots more! 5-12 year olds. Parents stay for this one! Description: Let’s build together with themed creative sessions this Summer. Age 8-11 years. Free to attend but booking essential. 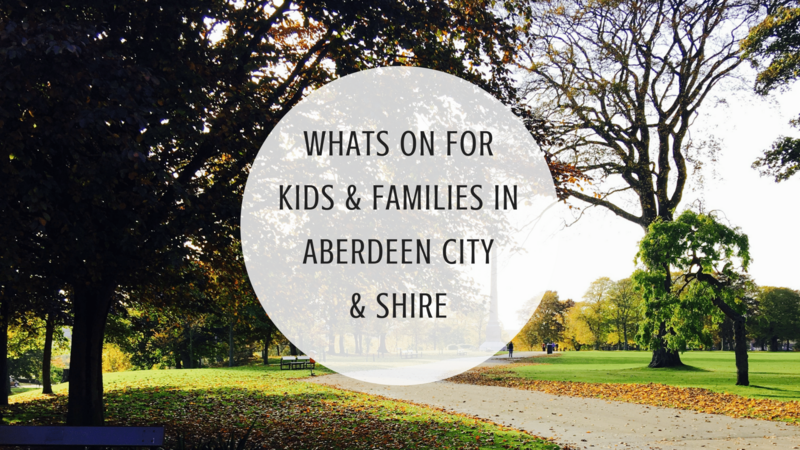 To book, call 01224 872572 or email KincorthLibrary@aberdeencity.gov.uk . Description: Why not come along and have some fun doing various activities such as pond dipping and minibeast hunts – all equipment supplied. BOOKING ESSENTIAL. Bring wellies for the pond dipping. All welcome, children must be accompanied. Description: Come along and meet the critters. Raising money for Macduff Boxing Club and Turriff United Ladies Football Club. Numbers are limited but will hold a second session the same day if enough interest. Cost is £5 per person (payable on booking) and includes juice and crisps. PM through Facebook event page to book. 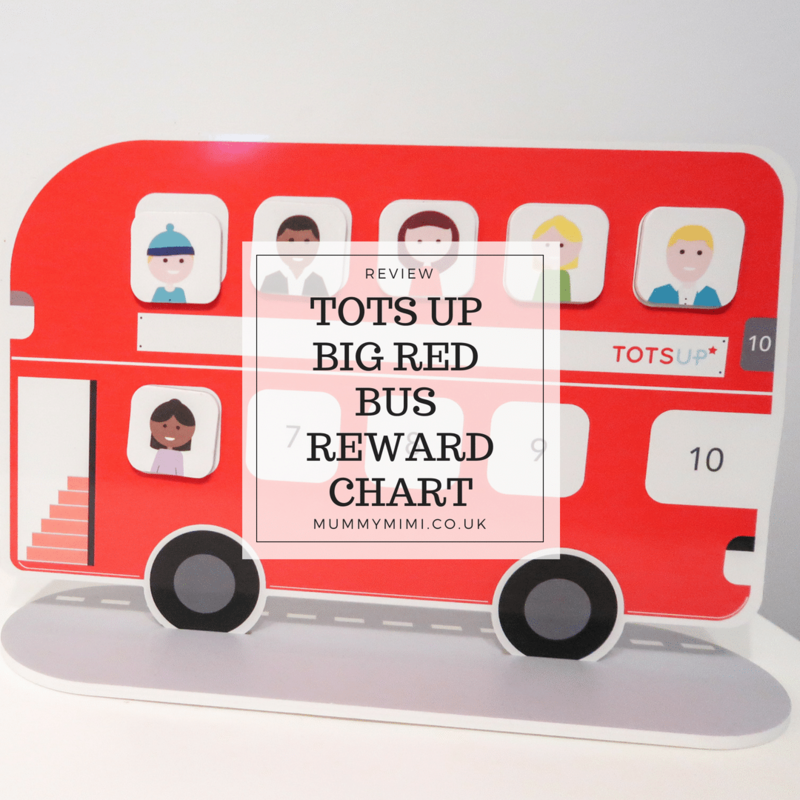 This week we also posted out review on Tots Up’s Big Red Bus Reward Chart, see how we got on here. Description: Join us every Wednesday afternoon during the summer holidays for the chance to find out more about the Harbour expansion project and take part in fun activities. Age 4-12 Years | Booking essential. Description: Learn to code your own computer game in Scratch at one of our Hour of Code sessions. No coding experience required. Suitable for ages 8-12. Free event but spaces are limited so booking essential. Booking required for the morning sessions. *Follow up help and advice. The workshop will run from 10am -12pm. This workshop is ideally suited for those with babies from birth – 4 months. Description: The Workshops have been devised to help raise self-esteem and confidence, support the development of healthy behaviour and help raise the achievement for children. Classes run for 4 weeks; 13th, 20th, 27th July & 3rd August. Book one or all sessions.